Home Volume 5 Edition 1 What Happened to the Money? Like many large venue based companies, the Vancouver Playhouse Theatre Company received significant support from many levels of government. Its demise, while a tragic outcome of many factors, was also a potential opportunity for a number of unfunded and underfunded companies. Its final operating grant of $264,500 from the Canada Council for the Arts in 2011 was, in theory for 2012, available in the Operating grant pool for Professional Theatre Companies. On the provincial front the Playhouse had been receiving in the range of $220,000 as an operating grant; however, it saw a significant hold back in the final year of operation that remained with the Council for other uses. As with the Canada Council, the funds usually allotted to the Playhouse remained available for the Council to grant. In its final season of operations the company received only a small portion of its operating grant, both its annual grant and a small advance on the 2012 season; which of course meant that a full allocation of those funds was not available for 2012 granting purposes. The Playhouse received no operating grant funds from the city (they received support from the city with what the city considered in-kind rental support – however that is highly disputed and not the same as receiving a cash grant of funds to support operations). Gillian Wood of the BCAC confirmed that the funds made available as a result of the closure were kept in a general operating pool but not reserved specifically for theatre operating grants. The funds did open up potential for new operating clients (for example Bard on The Beach was brought into stream around this time). In discussions at the time with Bob Allen, the Canada Council elected to use the additional funds available to it for multiple programs within the theatre sector, notably in project and tour funding, as well as some minor increases to select operating grants (not restricted to a region but rather spread across the country). With both councils, however, a direct link between the Playhouse closure and increased operating funding remains unclear. This would especially be true with the BC Arts Council, as the funding cycles in BC were still in tumultuous times. Having established that the funds were not dedicated either regionally, or specifically to operating grants within the theatre discipline the question becomes: was there a significant gain made by other theatre companies as a result of the Playhouse’s closure? Grant monies did flow to companies in BC and more specifically in Vancouver, but the extent of additional support that was a direct result of the closure was widely dispersed. While some companies did see some additional support as a result of the closure, it would be hard to argue that the shifts made with the additional funds from CC or BCAC constituted a significant difference other than to the companies that were brought into provincial operating stream. As noted briefly above, these changes also occurred during a period of uncertainty and change in the funding at BC Arts Council. The province was coming out of confusion surrounding gaming funding, and there was uncertainty about the health of operating support including cuts, with partial restoring of funding and changes in priorities both going into and coming out of the Olympics. Somewhat more interesting than the public funding was the distribution of private funding after the closure. My notes from a PACT region one meeting months after the closure had both Pacific Theatre (no record of the individual) and Howard Jang of the Arts Club report increases in patrons, patron donations, not to mention the eventual transfer of the Wine Festival contributions to Bard. The Arts Club reported capturing some of the Playhouse subscribers (as did Pacific Theatre to a much lesser extent) as those patrons sought alternatives for their theatre experiences. For its season immediately after the closure, Howard Jang again mentioned during a PACT region meeting that Arts Club reported a significant increase in corporate sponsorships, and from conversations following that meeting they have reportedly maintained many of those relationships. Bard on the Beach, too (Christopher Gaze), reported adding new corporate supporters. The demise of the Playhouse may have opened up these opportunities for the Arts Club and others (for the most part companies such as Ballet BC, Bard, and the Vancouver Opera). It was not just the closure of the Playhouse but also the efforts of these larger organizations to secure and then maintain those opportunities. Both the Arts Club and Pacific Theatre at that regional PACT meeting also reported gains in subscription levels, though the longer term impact of those levels are obviously tied to the whims of subscribers and programming choices. 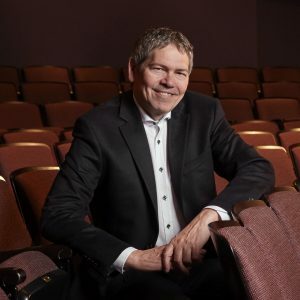 The benefits of additional corporate support reported by the Arts Club and Bard, plus the funding from the Wine Festival for Bard have had lasting and positive effects on at least these two theatres in Vancouver. The most certain lasting transfer of benefit to other arts organizations in the province stems from the International Wine Festival’s transfer of support to Bard On The Beach, which gained a third party fundraising source. In summary, there was a varying degree of funding benefit to the arts community. On a federal level the distribution was not targeted to BC only and so was spread more thinly. On a provincial level the funding provided increases to the general operating pool and so has had what can clearly be defined as a positive longer-term impact of varying degree. That positive impact on the community in BC and beyond however is relatively minor in the larger context and it could be strongly argued that the loss of a significant producing company has a much greater and longer lasting negative effect on the community. While some funding flowed to support a variety of organizations, it did not initially result in an equivalent increase in the level of productions or engagement of artists. While companies like the Arts Club may in fact be producing and presenting on a much greater level now, there is no evidence that it is a result of public funding redistribution. Next articleWhat Happened to the Artists?